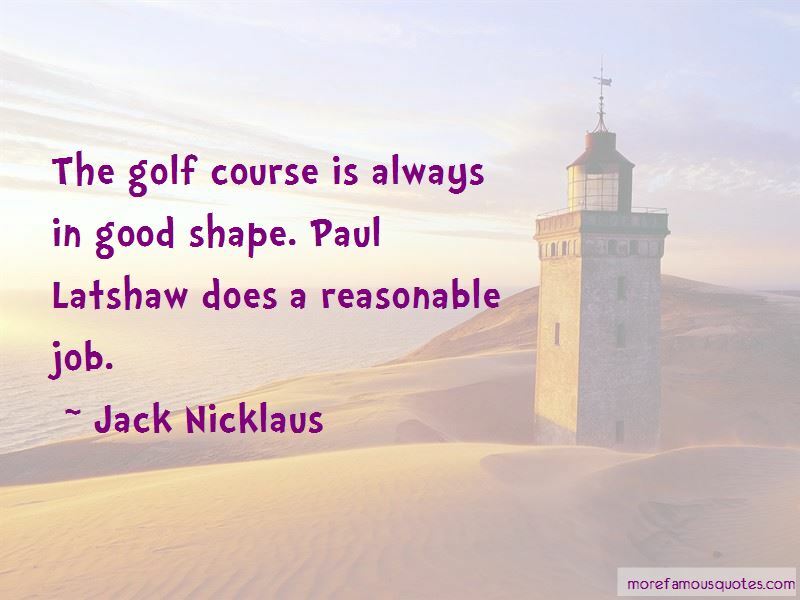 Enjoy the top 190 famous quotes, sayings and quotations by Jack Nicklaus. Writers have told me more than once that I'm a better interview in defeat than in victory, which is a compliment I am extremely proud of. But if I played well and prepared myself properly, then all I had to do was control myself and put myself in a position to win. Pursue what you love, what you are passionate about. Don't let somebody else dictate your life's path. Talent isn't as important as the work and dedication necessary to become competent. The successful people seem to have blinders on. Everything is straight ahead. They go forward and know exactly what they're going to do once they've made up their mind to do it, and by God they don't look sideways. Bob Ford is a great guy. He's a great friend. He's done a great job at Oakmont and Seminole. He's a very quiet man. He doesn't get in the middle of everything, but he understands what a nice job he's done at both places. 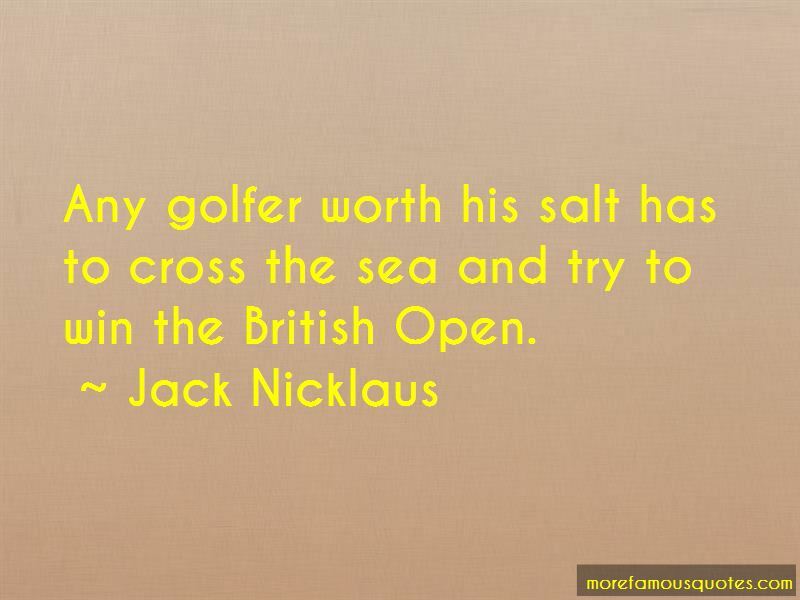 Any golfer worth his salt has to cross the sea and try to win the British Open. 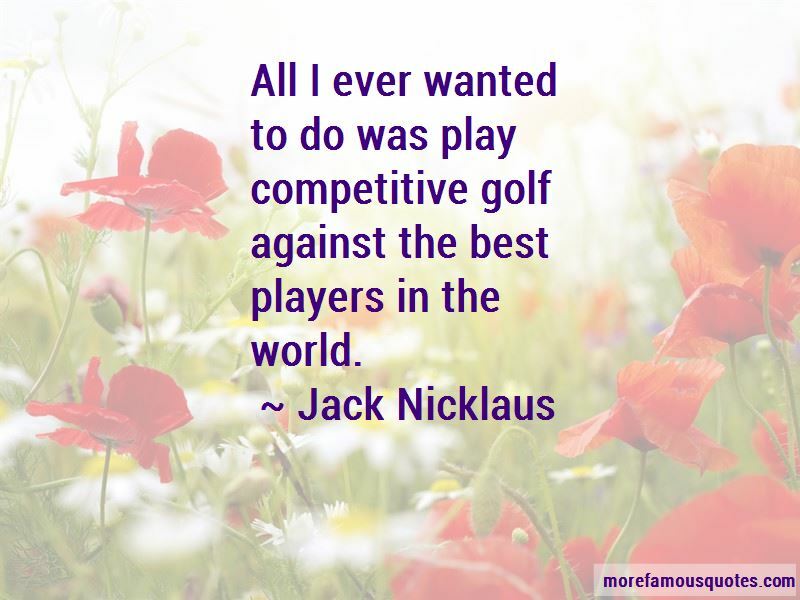 Want to see more pictures of Jack Nicklaus quotes? 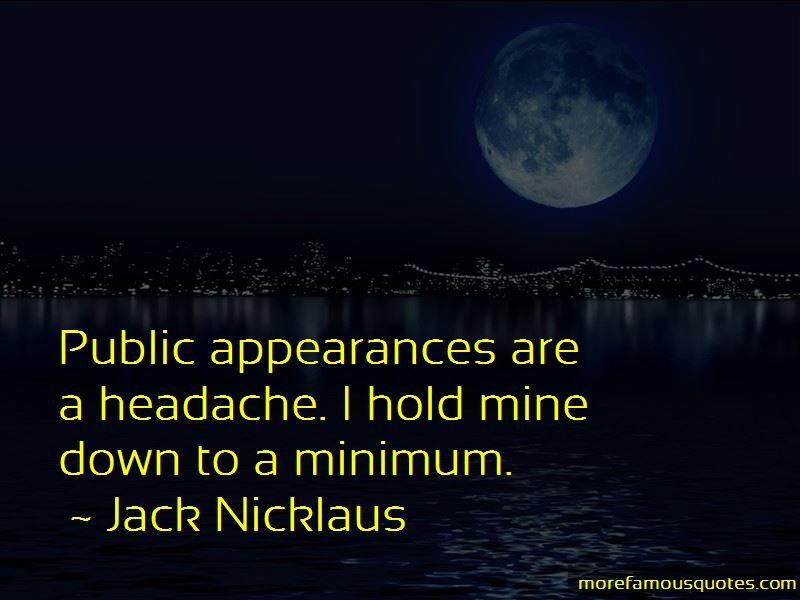 Click on image of Jack Nicklaus quotes to view full size.